Sleep is only one of the biggest things we keep on losing because of our preoccupation with smart technology. Our intense fear of missing out or #FOMO urges us to push our bedtimes further and continue tinkering with our devices until the wee hours of the morning. The thing is, the world won’t come to an end if you can’t respond to a comment or like and share the status or tweet of a person or star you are following. We are living and breathing individuals that have needs far more important than our affinity to tech devices yet we now thrive in a culture where it is acceptable to lose sleep or lose that important “me time” because you are always reachable on your phone or social media. The powers that be tell us that everything should be done through our phones — that speed is the currency of the day and response time matters. How important is response time to an emergency medical technician? It seems pretty important. How important is it for you as a career professional to respond to a text, an email or a phone call? It depends. If you are a physician or nurse on call, you’d better respond quickly. If you possess a safety-oriented role in a manufacturing setting, it seems very important. But most career professionals interrupt their careers and sometimes do permanent damage to their relationships by the overuse that our smartphone culture provides and prods us into. Back then, you are free to rest and relax or bond with your family and friends outside of work or school. Your obligations won’t usually follow you at home. And you also make an effort in talking to or seeing people since we don’t yet have smart technology that allows us to talk to people or video call them in real-time remotely regardless of what part of the world they are in. Sometimes, there are individuals who prioritize their online persona than their real self and lose connections with family and friends as a result of it. 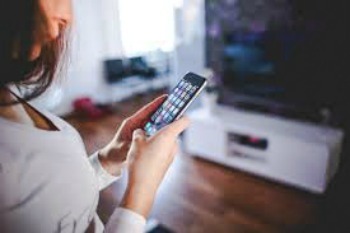 Health issues are quite common too as tech gadgets emit harmful blue light that impacts our sleep and health as a whole. You’re suffering from nomophobia — and you’re not alone. Have you ever felt panic set in when you realize you’ve left your phone at home or don’t know where it is? You know what it’s like – the accelerated heart rate, the shorter breaths, the frantic searching, the attempts to reassure that nothing critical will happen in a half-hour of separation. It may sound ridiculous to some, but these feelings are real and intense for many smartphone owners. But what’s really going on? Why are people feeling this way? Can anything be done about it? These questions were asked by researchers in Hong Kong and South Korea, who collaborated on a recent study called “Understanding Nomophobia.” Nomophobia means ‘no-mobile’ phobia and describes the anxiety and discomfort described above. The fear of being separated from your smartphone is even a medical condition now known as nomophobia. Yes, there are individuals who really freak out in the absence of their handy tech gadgets that probably hold all their life secrets. When these technologies were developed, the innovators were probably thinking about how they will improve the lives of everyone. It turned out that the public became slaves to their gadgets – just like what is happening right now. It is a common sight if you go out in public. People are busy fiddling with their phones rather than interacting with others or even simply caring as to what is happening around them. They are lost in their little virtual bubble where everything is possible at their fingertips. And at the rate things are going now, it is highly likely that a new digital culture has been born and will definitely dominate the world in the years to come.